Agudath Israel warns Supreme Court case of baker who refused to bake for gay wedding could lead to greater loss of religious freedom. 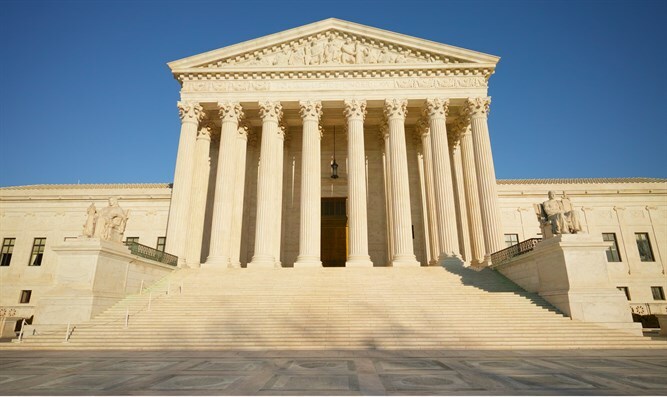 Agudath Israel of America filed an amicus curiae (friend of the court) brief with the US Supreme Court in a significant religious liberty case, Yeshiva World News reported Sunday. The Orthodox organization asked to be allowed to assist in the case, Masterpiece Cakeshop v. Colorado Civil Rights Commission. The case involved a Christian baker who was punished by the State of Colorado for refusing to bake a cake for a homosexual wedding. Agudath Israel claimed in its brief, which was written by Washington-based attorney Jeffrey Zuckerman, that Orthodox Jews in America have a direct interest in the outcome of the case and its ramifications for religious liberty in America. The organization argued that a religious Jew is prohibited by Jewish law from assisting another person in committing a sin, which would prevent Orthodox Jews from participating in homosexual weddings just like the owner of the Masterpiece Cakeshop. Agudath Israel further noted that should the penalty against the baker be upheld, rabbis who refuse to officiate at weddings Judaism does not recognize could face legal action. The brief stated that other western nations have taken or are considering steps in recent years that make it far more difficult for Orthodox Jews to practice their religion, including attempted bans on ritual slaughter and circumcision in several European nations.